CLASSIFY YOUR CLUTTER: Label holder on the front of each Fabric Organizer make it easy to mark the items within for better organization. Perfect for nursery, office, living room, bedroom, closet and everywhere. DECENT SIZE FOR MOST SHELVES: Each of these Storage Containers measures 10.5″x10.5″x11”, which will fit perfectly in most storage shelves. 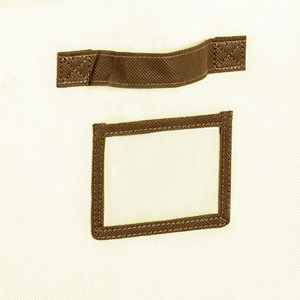 HANDLES FOR EASY ACCESS: Sewn in handles of these Foldable Storage Bin make it convenient to pull out from the shelf for quick access of your items. 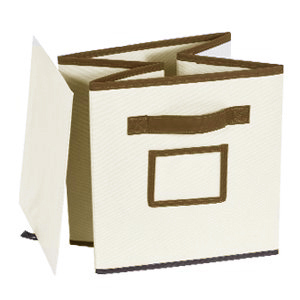 SPACE-SAVING COLLAPSIBLE DESIGN: The foldable feature of MaidMAX Fabric Drawer allows you to simply fold them up when they are not in use. Cleaning up and organizing your house have never been an easy job! 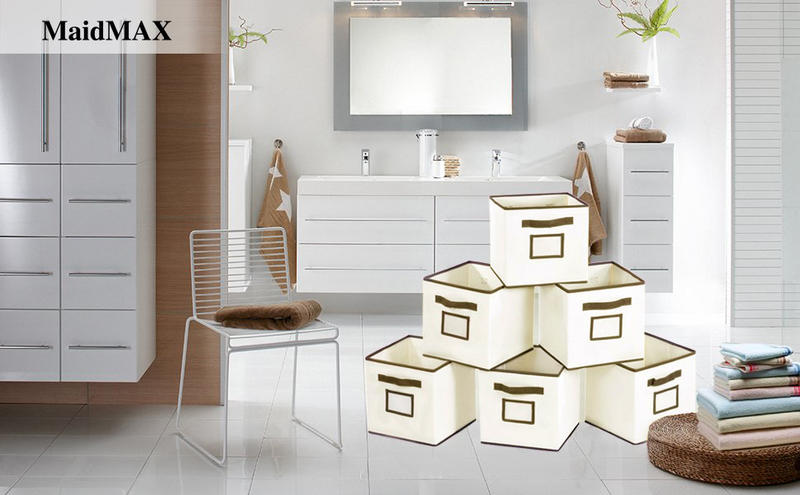 Now free yourself from this tiring errand with MaidMAX Foldable Storage Cubes! 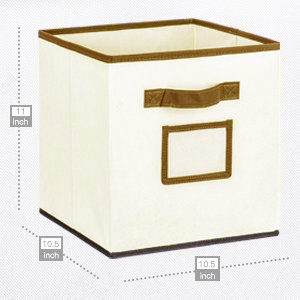 Each storage bin measures 10.5 x 10.5 x 11 inches, which perfectly fits most cube storage shelf. 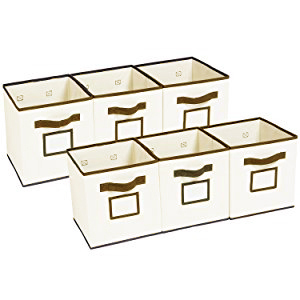 From child clothes, underwear, socks, bras, leggings, sweatshirts to even small records or albums, you’ll find that these storage drawers are versatile! How large is each storage cube and what can I store in it? Plus, label holder on each cube gives you quick access to the items within. 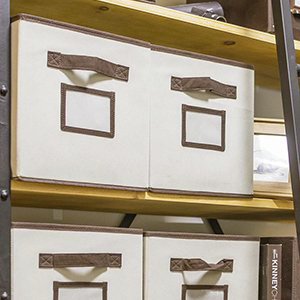 This storage cube comes with an open design giving you easy access to your stuff. If you need to stack them to save space, we recommend filling the bottom box with infrequently used items before stacking. How can I clean the container if it gets dirty? This container is made from non-woven fabric, and it’s easy to clean. It’s not washable but you could simply wipe it with a cloth. 3. Please do not touch the product with sticky or greasy hands. © 2019 MaidMAX. All Rights Reserved.